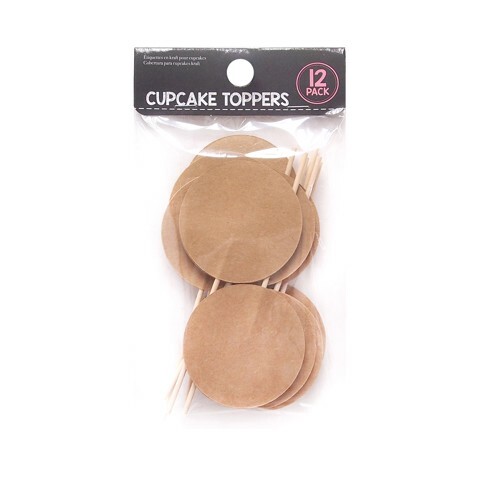 Cupcake Kraft Toppers 12Pk. Topper 5cm (Diameter) | Length 8cm. Brown Kraft. 120gsm Kraft Paper | Bamboo Stick. 0 Packaging: OPP Bag with Header Card.